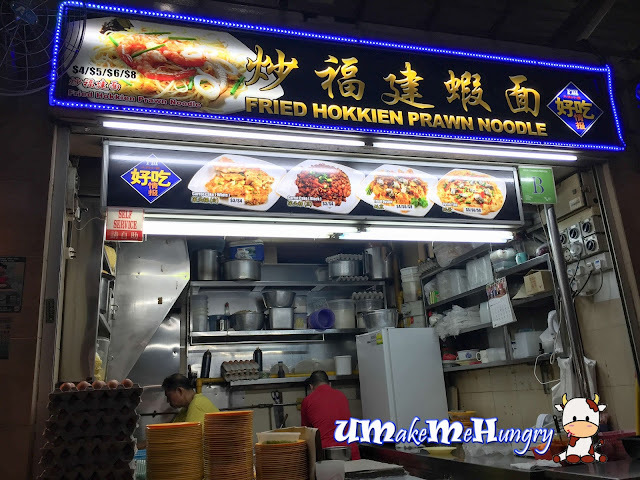 A recent visit to Boon Lay Village gave me a stunned with the presence of a couple of new stalls around and one of them was this Fried Hokkien Prawn noodle stall. There was already a few similar stalls around and with one reputable stall that I always patronize. Therefore, to whip up a good plate of fried hokkien prawn noodle there is the only thing to keep the business sustainable. With the FBI 好吃情报 indicated on their sign board, I was automatically attracted to buy a plate from there. Portion comes in $4 / 5 / 6 / 8 and we bought ourselves a $5 plate. From the number of patrons siting on the nearby tables staring at the stall, we knew that we are definitely not the first in the queue. Despite of the queue, our food was served rather quickly. 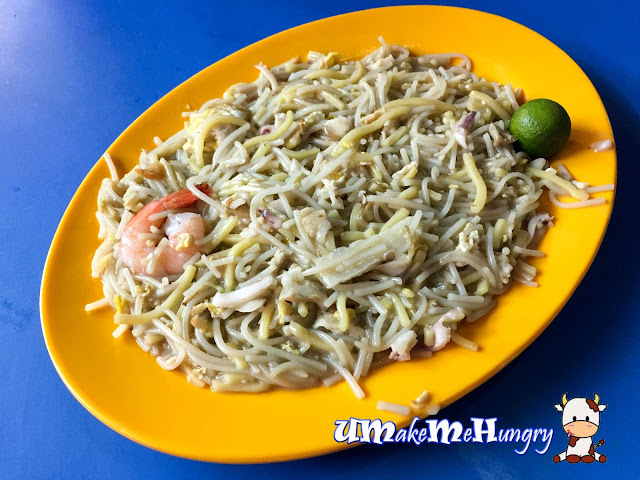 Fried Hokkien Prawn Noodle was yummy and was delectable in the mixture of yellow and white noodles with prawns, squid and sweetness from the eggs. Without any additional condiments, the plate of Fried Hokkien Prawn Noodle was already good by itself. Perhaps the taste will be more interesting by adding more chilli and lime myself.